Boutique accommodation in a prime location just metres from the beach. Two stand alone one bedroom apartments overlooking beautiful Hot Water Beach. Ideal for couples. Set in tropical gardens with large north-facing decks. Hot Water Beach is renowned for its hot springs. Dig yourself a hot pool on the beach a couple of hours either side of low tide. Enjoy the soft white sand, the pohutakawas, the cafes and art gallery. Close to Cathedral Cove and Hahei, Cooks Beach and Whitianga. sea kayaking, surfing, diving, fishing and swimming are just some of the activities on offer in this beautiful part of the Coromandel. Linen fee $25 per couple. 2 night minimum stay. During peak season 4 night minimum preferred. Great location. A 2 minute walk to the beach. The bure is spotless with everything needed for a perfect beach vacation. Absolutely beautiful property so close to the beach. Only tiny recommendation regarding the outdoor shower. Feet get quite sandy walking from the shower to the deck, so something on the ground to avoid this would be good. Great location with own private access to the beach. 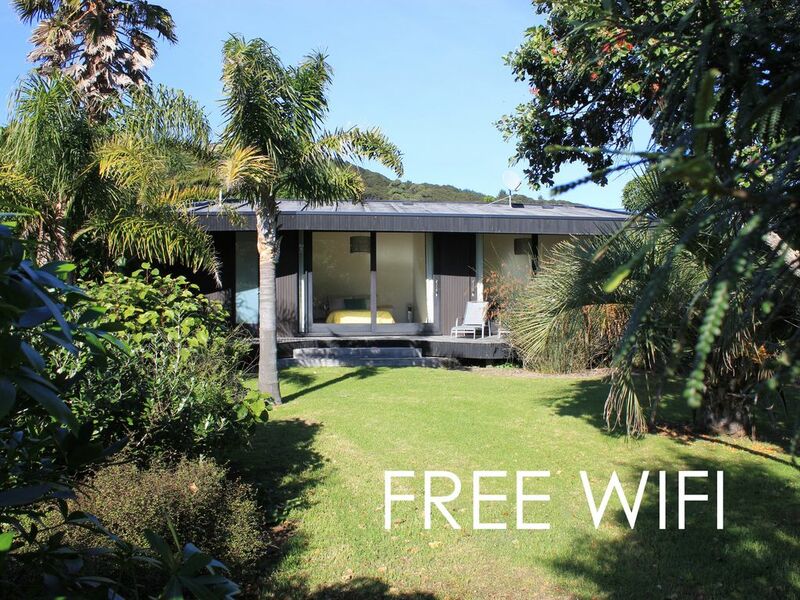 Beautifully maintained stylish property with all the amenities needed for a great holiday. Enjoyed going to sleep with the sound of the waves crashing against the shore. Once you've spent time in your hot pool at hot water beach we would recommend a short drive to hahei. Here you can start the 40 minute walk into the beauitful cathedral cove.